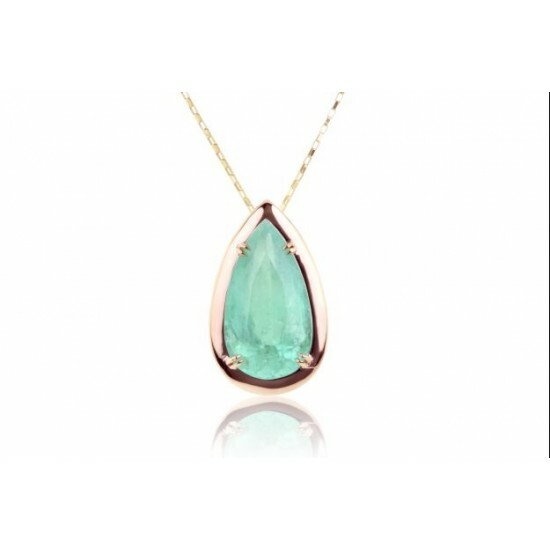 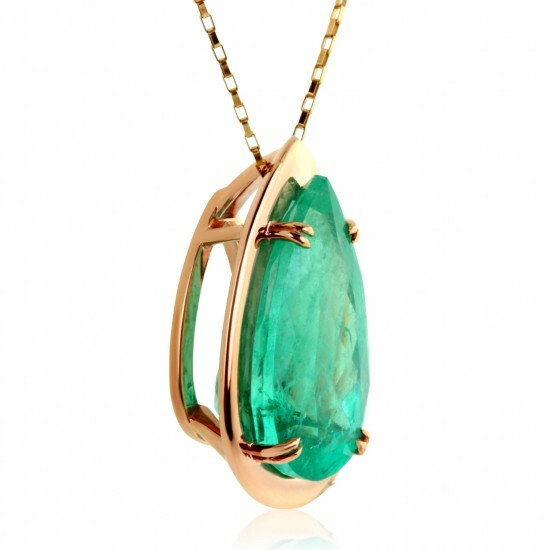 You'll make an enviable statement with this natural Colombian emerald pendant necklace. 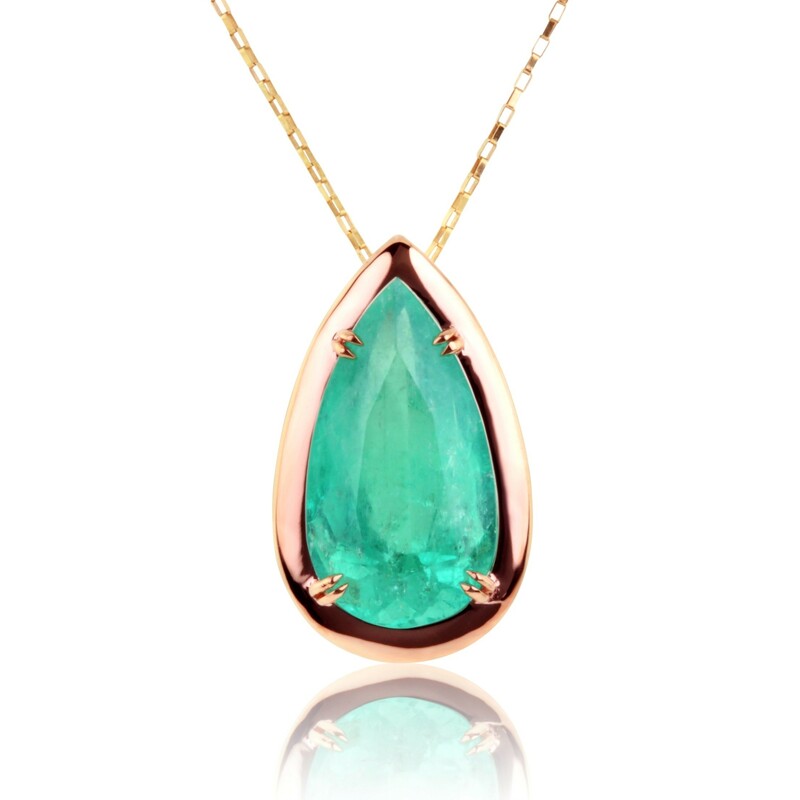 The slender pear-shaped emerald weighs 7.10 carats and is securely mounted in 18K prongs. The beautiful grass green emerald has terrific transparency and is accompanied by a sturdy wheat chain. 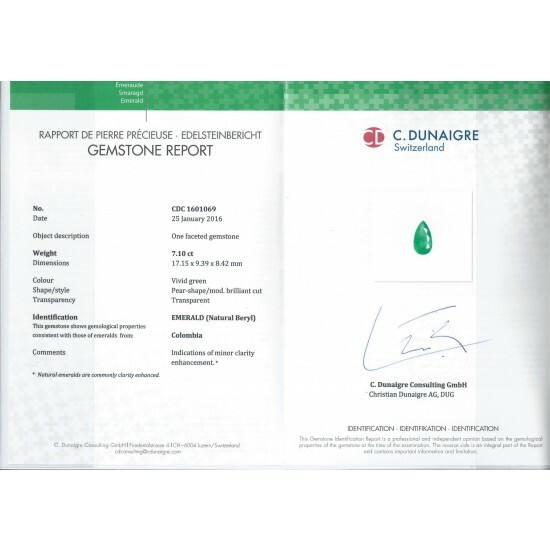 The emerald is certified by C. Dunaigre. 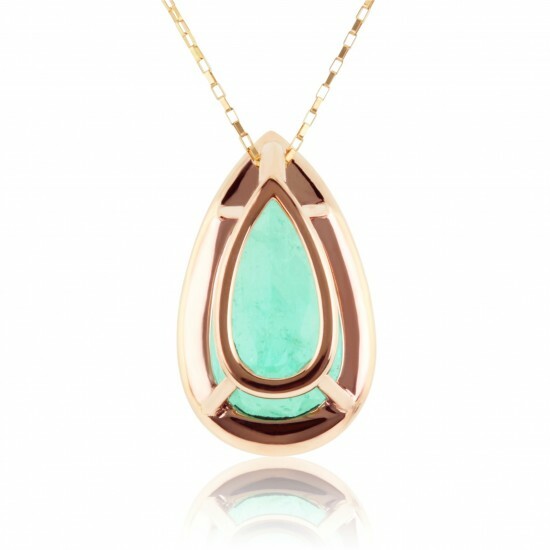 Gold weight: 7.53 grams.